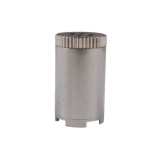 The FENiX Mini is currently the smallest vaporizer from Weecke. Like its big brother, the FENiX Mini has a stainless steel herbal chamber and is in no way inferior to the FENiX in steam quality and efficiency - on the contrary, the technology has been refined so that the FENiX Mini heats up even faster. 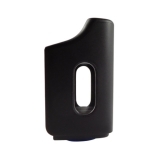 The FENiX Mini is very compact and fits in any pocket (cigarette pack format), it is also very good in the hand and is discreet due to its simple but beautiful design. There are 3 beautiful models to choose from: plain black, wood or marble design. You are spoiled for choice! A very efficient convection heater is used, making the FENiX Mini vaporizer one of the few true convection vaporizers on the market. 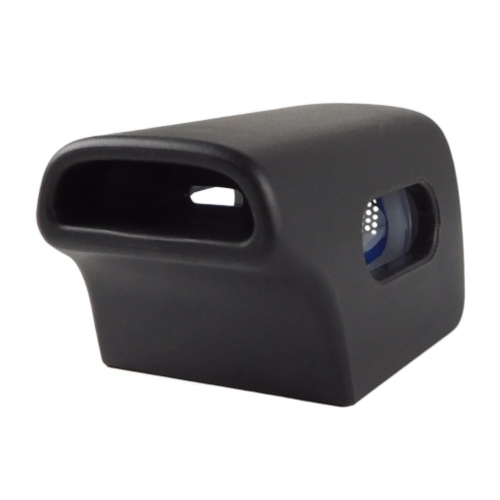 The strengths of the FENiX Mini are many. Especially the taste is pure and unadulterated. The steam yield and quality is excellent. A joyful feature of the FENiX Mini vaporizer is the very short warm-up time of less than 30 seconds: the temperature counter races up shortly after switching on. Before you look at the desired temperature is reached. The large and clearly visible OLED display of the FENiX Mini shows the exact temperature, the exact battery level and the set and the reached temperature. 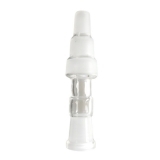 Another nice feature of the FENiX Mini: visible through a window in the mouthpiece, an LED signals by green light as soon as the Fenix Mini has reached the desired temperature. To change the temperature display from ° F to ° C, simply hold down the (top) power button and the bottom button together for about 3 seconds. 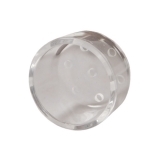 In addition, a quartz glass chamber is included, with which you can evaporate herbs and oils and waxes. The FENiX Mini automatically turns off after four minutes of non-use. The FENiX Mini can be easily charged via a USB cable. The recharge time is very short with about 2 hours. Ich liebe dieses Gerät. Das einzige Manko ist die geringe Akku laufzeit und die hohe Aufladezeit. Da kommt man schnell in Versuchung auch schon mal zwischen den Ladezyklen das Gerät zu benutzen, was aber wahrscheinlich nicht so gut für den Akku ist. Trotzdem, meiner Meinung nach, nicht nur wegen dem extrem fairen Preis, ist der Fenix Mini einer der Besten Taschenvapos. 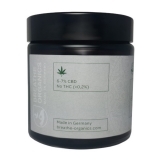 Zur Qualität: 1 mit Sterneigentlich eher für Wachse oder FluidsDer Brennraum ist etwas winzig, so artet das Befüllen gleich zur Ergotherapiesitzung ***Meine Frau und ich nutzen ihn täglich und das mehrmals. Alles auf Rezept! 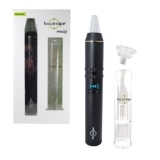 Super Vaporizer. Sehr solide verarbeitet und macht seinen Job sehr gut! Dafür das er so klein ist er recht schwer, Kräuter  lassen sich angenehm verdampfen. Also für Einsteiger bzw. Umsteiger wie mich,genau das richtige Gerät um sich einen ersten Eindruck zu verschaffen.Ich bin zufrieden das ich mich für den Fenix Mini entschieden habe,und kann diesen nur weiterempfehlen! Funktioniert wie er soll.Praktisches Design. 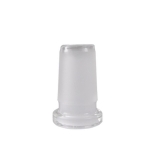 Water Filter Adapter made of Borosilicate Glass (10 mm on 10/14/18 mm) "long"
With the water filter adapter you can connect different vaporizers with a water filter or glass bong. 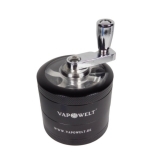 With the original water filter adapter it is possible to connect the Davinci IQ and other vaporizers with a water filter or a bong. 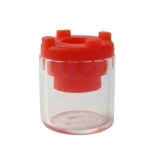 Water Filter Adapter made of Borosilicate Glass (10 mm on 14 mm) "long"
With the original water filter adapter you can connect Davinci IQ and other vaporizeers with a water filter or a bong. 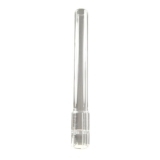 Original Arizer Easy Flow Mouthpiece long for Arizer Air/Solo Vaporizers. 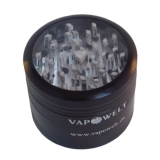 The Focusvape ceramic sieve for all Focusvape vaporizers cools the steam and is easy to change at any time. Simply open the lower screw cap and replace the strainer. Ceramics are medically harmless and tasteless. 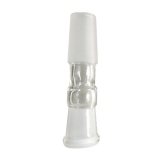 Original replacement mouthpiece for the Weeke Fenix Mini vaporizer. 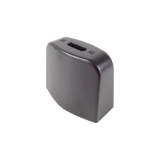 Original replacement mouthpiece for the Boundless CFC vaporizer. 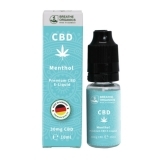 Canabidiol (CBD) is a natural existing non psychoactive component of the female. Spacers for conduction vaporizer like the DaVinci IQ. 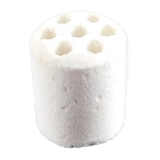 Optimizes the steam quanitity at smaller dosages.